Our great southwest journey took us next to the town of Las Cruces, and it's partner, historic Old Mesilla. Located just over the magnificent Organ Mountains, Las Cruces is a city steeped in tradition since its colonization by the Spanish in the late fifteen hundreds. 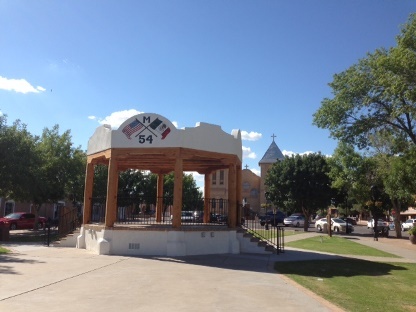 That picture above is the plaza in the center of Old Mesilla, a place full of great little shops, and behind the gazebo there is the Basilica of San Albino. 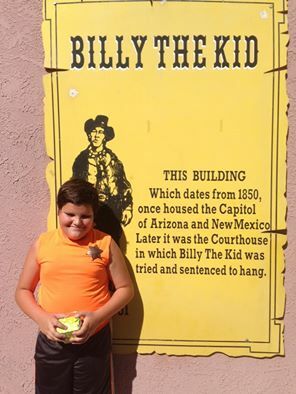 Las Cruces has seen a lot of history, from Spanish conquistadors to civil war battles, and was a favorite hangout of New Mexico's favorite outlaw: Billy the Kid. I found a little shop that sold US Marshall badges and David was strutting around like he owned the place. After strolling the local mall (hey, I had two fifteen year-old girls with me, we had to have some mall time) and the quaint and interesting shops at Old Mesilla, we moved on to another Old Mesilla landmark, La Posta de Mesilla Mexican Restaurant. 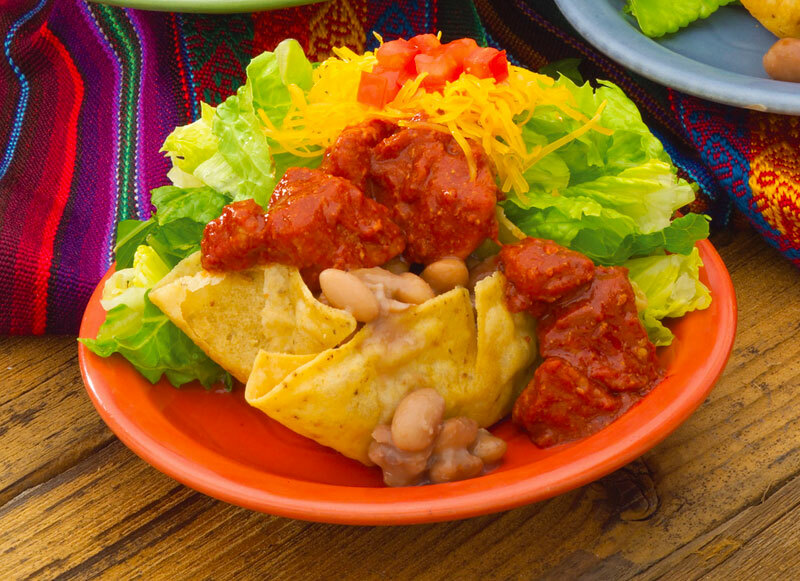 You want authentic and delicious? 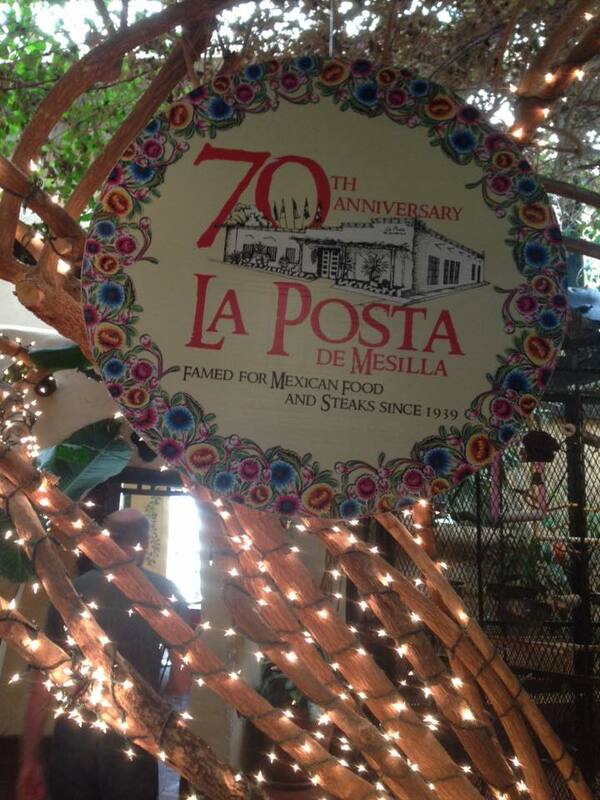 Looking for a historic building (dating back to the 1840's), beautifully decorated and full of ambiance? Want a dining experience that features a tank full of piranha? In the mood for a Prickly Pear Cactus Margarita (SOOO YUM)? This is your place. 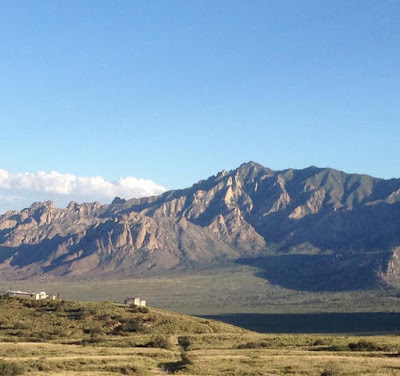 We gorged ourselves and rolled back into the car for our 90 minute drive home, but had to pull over so I could take this shot of the gorgeous Organ Mountains. They really are breathtaking up close and in person. 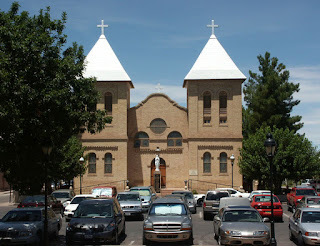 If you ever come to New Mexico, don't stop at Albuquerque and Santa Fe, please. Head south and you'll be so very glad that you did!